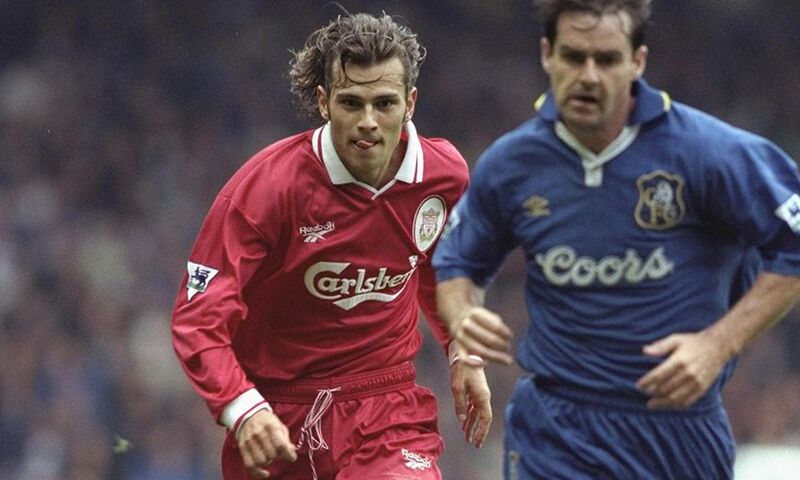 Marquee summer signing Patrik Berger scored a brace on his full debut as Liverpool beat Chelsea 5-1 at Anfield in September 1996, but can you recall the rest of the starting XI that day? A star of the Czech Republic's unexpected run to the final of Euro 96, Berger was snapped up from Borussia Dortmund just 32 days after netting his side's only goal in their Wembley showpiece defeat by Germany. However, he would have to wait patiently for his opportunity to impress in Roy Evans' Reds side. Having scored two off the bench in Liverpool's previous Premier League outing against Leicester City, the long-haired midfielder was handed his first start for the visit of Chelsea and was instrumental in handing Ruud Gullit's men their first defeat of the season. Robbie Fowler opened the scoring after a quarter of an hour when he headed Stig Inge Bjornebye's cross past Kevin Hitchcock and, three minutes before the break, Berger then rounded the Blues goalkeeper and applied a cool finish to double the lead. Another Bjornebye cross was headed in to make it 3-0 on the stroke of half-time, but on this occasion it was Chelsea defender Andy Myers who buried the ball in the corner of his own net. Berger made it 4-0 shortly after the restart when he latched onto a stray pass from Dennis Wise, raced forward from midfield and slotted a low finish past the advancing Hitchcock. Liverpool's left-footed captain - who we won't reveal just yet - made it 5-0 with just under an hour gone and defender Frank Leboeuf grabbed Chelsea's consolation goal with five minutes still to play. Berger was given a standing ovation by the home crowd when he was substituted late on, but who else made up the first XI that day? Can you fill in the Missing Men below?